10 songs carefully selected and arranged for first-year instrumentalists. Even novices will sound great! Audio demonstration tracks featuring real instruments are available via download to help you hear how the song should sound. Once you've mastered the notes, download the backing tracks to play along with the band! 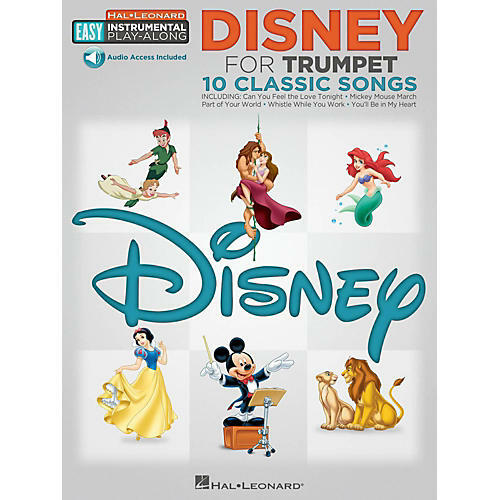 Songs include: The Ballad of Davy Crockett • Can You Feel the Love Tonight • Candle on the Water • I Just Can't Wait to Be King • The Medallion Calls • Mickey Mouse March • Part of Your World • Whistle While You Work • You Can Fly! You Can Fly! You Can Fly! • You'll Be in My Heart (Pop Version).